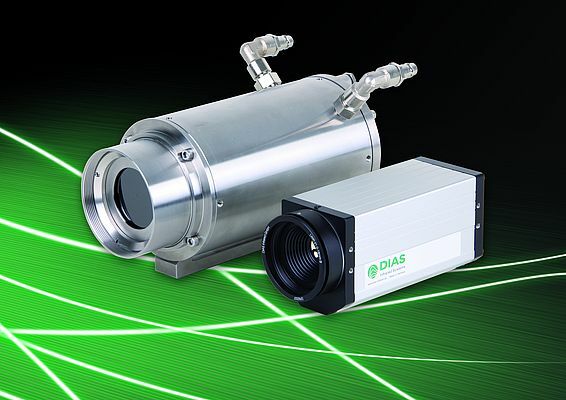 DIAS Infrared offers pyrometers and cameras for non-contact temperature measurement. The possibility of transferring measured values in local networks is now very important, as well as networkability. DIAS Infrared has made the integration of PYROSPOT pyrometers into local networks possible: they can be connected directly to a LAN using DCUIoP Ethernet Interface Box (up to 32 pyrometers), and therefore they are suitable for IP-based data transmission to the terminal as well as for data exchange on a web-page basis. It is now possible to operate several pyrometers via one port under one IP address; the interconnection of pyrometers is greatly simplified by the built-in web server. Distances of up to 30 m between the connected pyrometers and the DCUIoP are possible. Power can be supplied via Power over Ethernet (PoE) or via a separate 24 V DC supply. Up to 8 pyrometers can be supplied via PoE or up to 16 pyrometers via the separate infeed. The integrated web server enables the pyrometer parameterization and provides, among other things, information about the Device status (ID, IP address, etc. ), the number and type of connected pyrometers, the measurement history of all pyrometers over the last few minutes, documentations and the ability to display the video image of a selectable pyrometer. 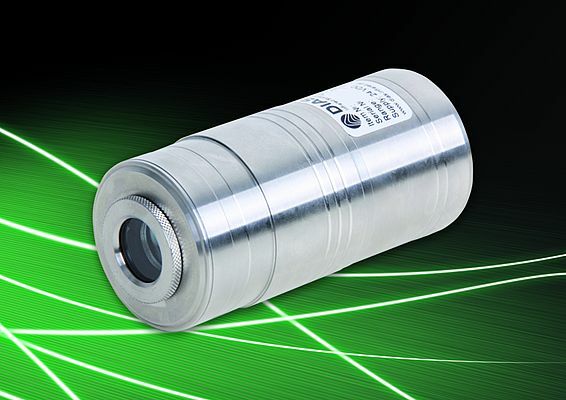 The PYROVIEW IRAS cameras and PYROLINE infrared line cameras also use the internet protocol (IP) for the transmission of measured data, but also for the controlling of the cameras as well as for service and maintenance. Especially for the last two functions, a built-in web server is available, which can be called up from any web browser in parallel to the measurement data acquisition. The web server displays the IR image of the current process and information about the technical data and the current operating status of the camera. If irregularities occur or problems occur, you can intervene directly; cameras automatically report whether certain maintenance is required or malfunctioning. The big advantage is that the camera does not have to be dismantled and sent, so updates can be made cheaper and more comfortable.